Which skins from past events deserve your hard-earned gold? The newest Overwatch Archives event, Storm Rising, begins tomorrow. Nine skins are up for grabs during the event, including Socialite Ashe and Deadlock McCree. All of the character skins from previous Archives events will also be available to unlock or purchase if fans missed them the first time around. If you’re rolling in gold and looking for skins to unlock during this event, here are a few ideas. The first Overwatch Archives event, 2017’s Uprising, followed the Overwatch strike team as they helped suppress an omnic uprising in King’s Row. 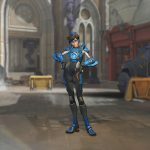 This was Tracer’s first official mission as an Overwatch operative—Reinhardt, Mercy, and Torbjörn rounded out the team. 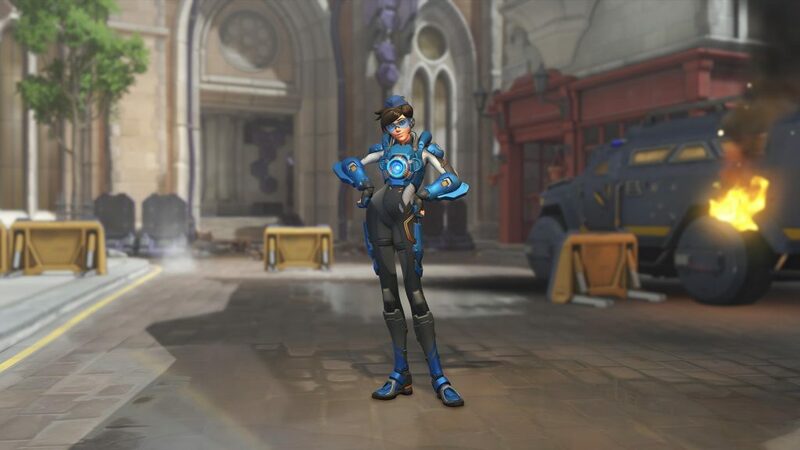 This legendary skin dresses Lena Oxton, otherwise known as Tracer, in the blue and grey uniform of the Overwatch strike team. 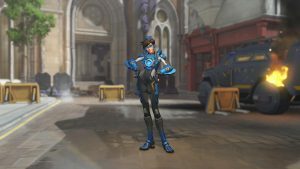 Since Uprising revolved around Tracer’s first mission with the organization, this skin is iconic within the lore of the game. 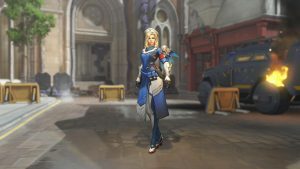 Mercy received a legendary skin in the event as well, which showed her as she appeared during the Uprising mission. She’s dressed in an outfit similar to Tracer’s, but Mercy is decked out with everything a combat medic would need, including her signature wings. Combat Medic Ziegler is, so far, the only Mercy skin based entirely on lore—the rest of her skins are fantasy-based or tied to events, like the Halloween skins. While playing the Uprising event mission, players had to defeat powerful omnics that could decimate a team. 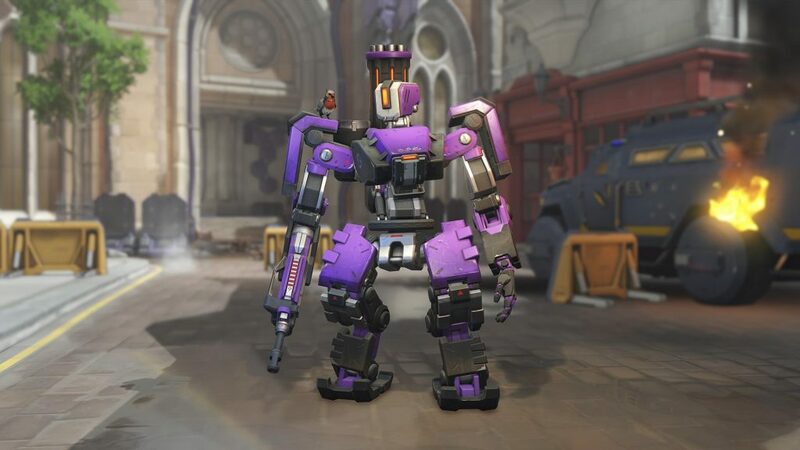 Subjectively, the most annoying enemies were the Bastion units that guarded the final point of King’s Row. 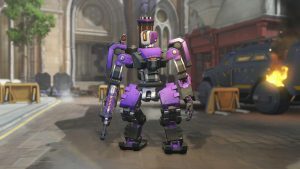 This epic skin gives the much calmer Bastion the same skin as the units in the event mission—without all the drama. The focus during the Uprising event was the original Overwatch strike team and how they dealt with an omnic rebellion. But a bonus for fans of the game’s lore was the reveal of a few skins that represented the darker side of Overwatch. McCree and Genji were members of Blackwatch, the secretive side of the organization that ran black ops missions. Not only are these two legendary skins lore-heavy, they’re a dark, interesting departure from the characters’ normal looks. 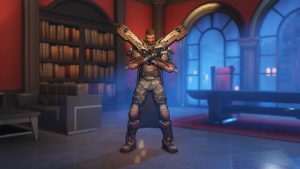 In 2018, the Overwatch Archives event returned with Retribution. This event mission followed the Blackwatch strike team as they hunted down a Talon official in Venice, Italy. Instead of bringing him in, Gabriel Reyes (later known as Reaper) murders the official and the Blackwatch team has to escape Venice with their lives. McCree, Genji, and Moira were the other members of the strike team. 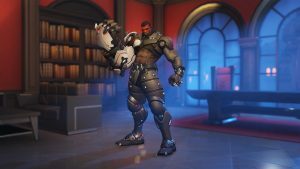 Two skins of Talon operatives were released during Retribution: A skin for Sombra and this skin for Doomfist. Of the two, this one is more impressive, simply because it alters Doomfist’s outfit enough to make a difference, but doesn’t change his overall effect as a character. Doomfist retains his confidence and eight-pack abs while accurately blending into the Talon color scheme with a black chrome outfit and red face paint. This legendary skin for Reaper is one of the most lore-heavy skins in the game. Before becoming a part of the Overwatch strike team, Gabriel Reyes was a part of the government’s “soldier enhancement program.” This program aimed to genetically modify government agents to be the perfect soldiers. It’s heavily implied within the game that this introductory modification is what eventually turns Gabriel Reyes into Reaper. The soldier enhancement program also created Soldier: 76. 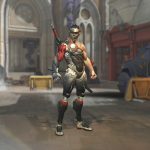 Despite the fact that Hanzo wasn’t—and still isn’t—a part of Overwatch or Talon, he was still given some love during the Retribution event. 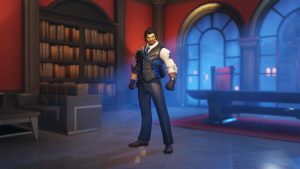 Scion Hanzo is a legendary skin that shows how Hanzo looked when he ran the Shimada clan, his family’s criminal empire, after his father died. Instead of his usual battle attire, Hanzo is dressed in a sharp suit that he’d likely wear to incredibly shady business meetings. The timeline of this skin likely aligns with the Young Genji skins—Hanzo served as leader of the Shimada clan for a short time before his elders convinced him to murder Genji. Retribution also gave players the cutest Archives skin. 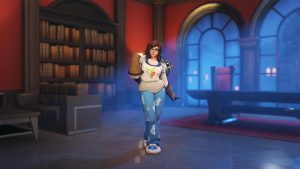 The legendary skin “Pajamei” gives Mei the outfit she wore in the “Rise and Shine” animated short, which documented Mei’s escape from the Ecopoint: Antarctica Overwatch base. 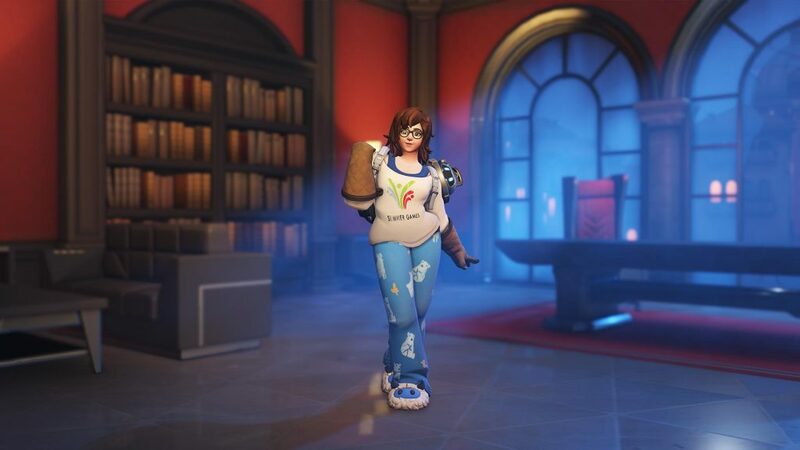 In the short, Mei wakes up from a nine-year cryostasis experiment wearing this outfit. She’s comfortable in a Summer Games shirt (referencing another Overwatch event), pajama pants, and yeti slippers. Players can use her homemade cryoblaster prototype to demolish their enemies and look good doing it.